The Kodiak Road System King Salmon Enhancement Project is a cooperative program between KRAA and ADF&G. 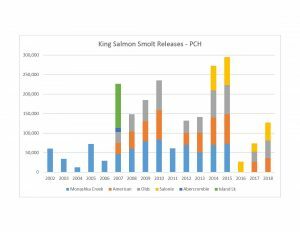 Each year the project provides opportunity (opportunity that didn’t previously exist) for sport anglers to catch king salmon returning to the Olds and American rivers and Salonie Creek. 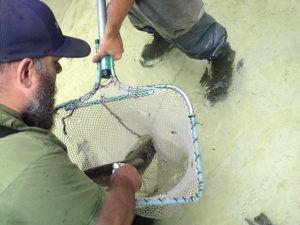 In August KRAA and ADF&G work together to collect up to 250,000 king salmon eggs. The eggs will be incubated at Pillar Creek Hatchery. Once hatched, the juveniles will rear at the hatchery for a year before being released as smolt to the aforementioned locations.